Welcome! 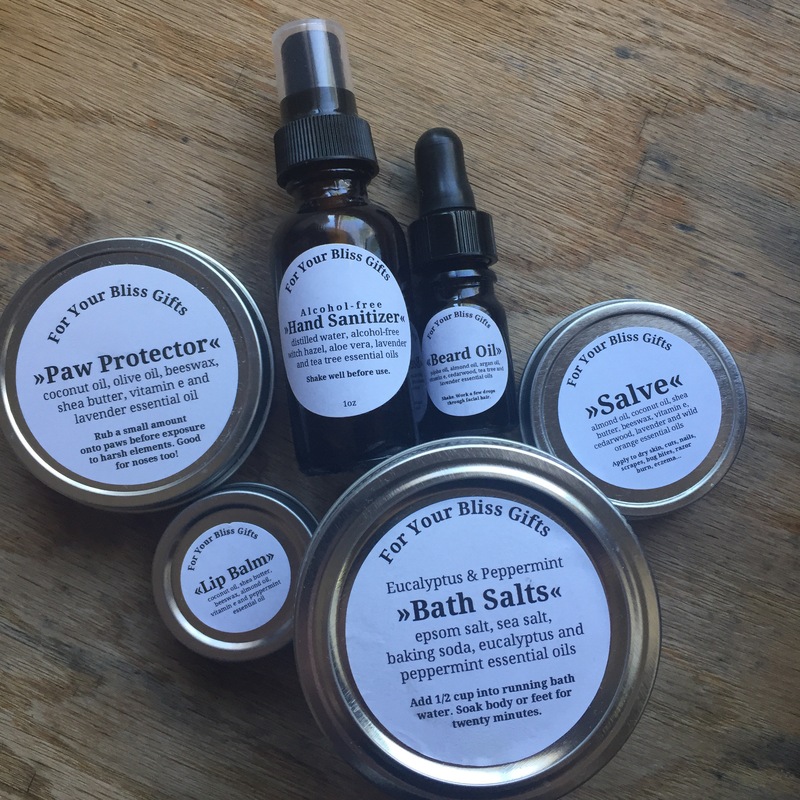 For Your Bliss Gifts is a privately owned, one woman show located in Northeast Ohio that specializes in products and gifts from pure and gentle ingredients. The company offers small-batch body products from head to toe that both women and men can benefit from. Some of the products include lip balm, beard oil and facial mist. Custom orders are available upon request.